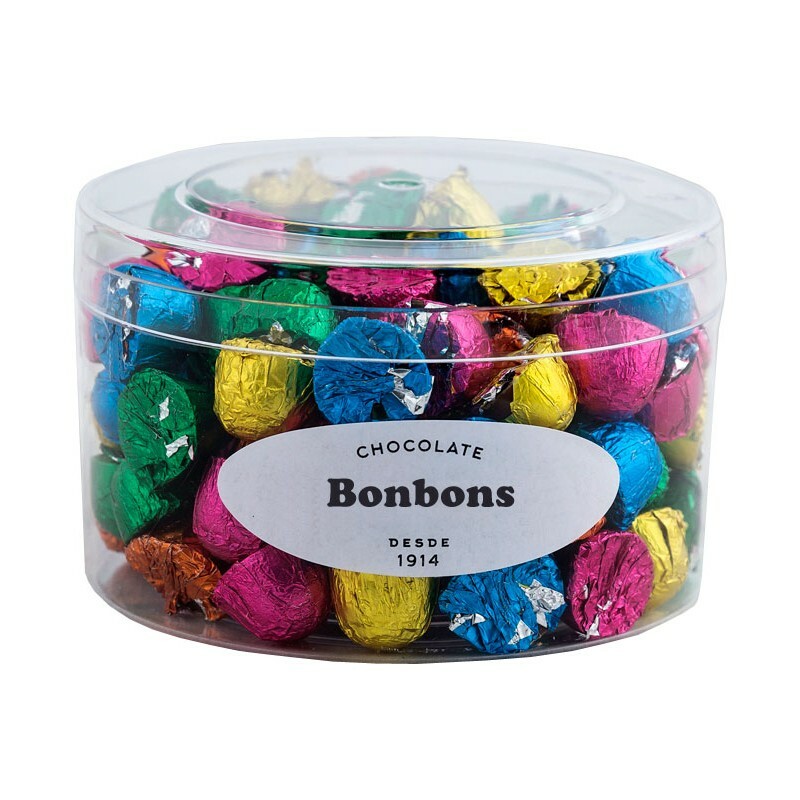 Milk chocolate bonbons in transparent box 400grs. 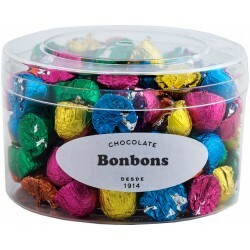 One box full of delicious bonbons it delights children and adults. Milk chocolate the ideal chocolate for children and adults. Produced in Portugal by the oldest chocolate factory, it began operations in 1914 with the manufacture of chocolates. All requirements for Hygiene and Food Security, labeling, transport, storage, following the Codex Alimentarius and the standards applied to the sector. We can produce all the chocolates with customer brand name (minimum quantity required).